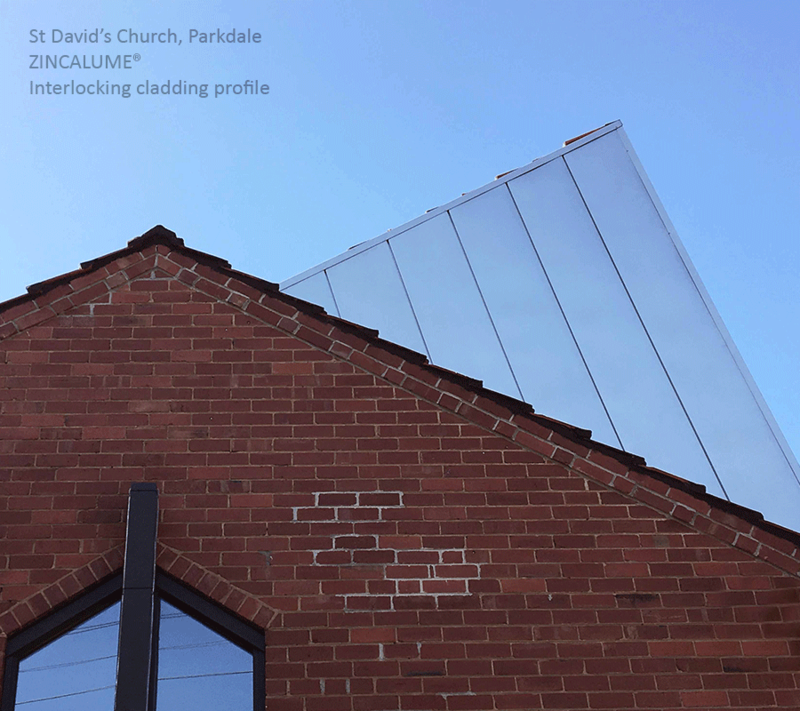 ZINCALUME® by BlueScope Steel® is a metallic coated steel, known for its strength, corrosion resistance, and attractive price point. 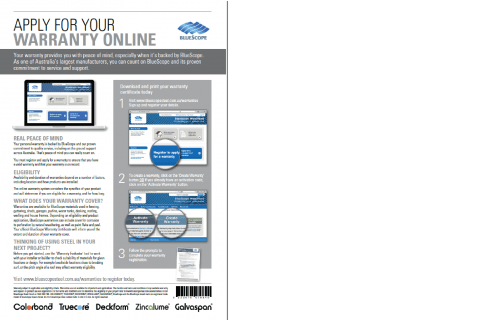 As members of BlueScope Steel’s® supply network, STEEL BY™, we believe in working with the best material suppliers available, so our customers, and their clients, can enjoy our finished product for as longer. 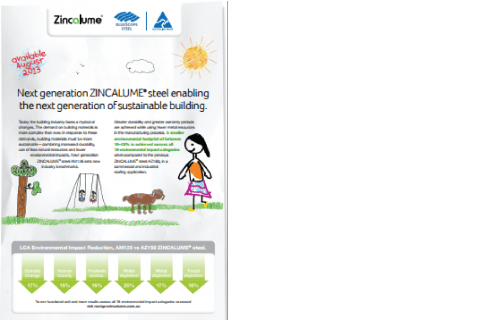 ZINCALUME® uses Activate®, BlueScope Steel’s® unique strength adding technology. Activate® is part of the coating process, where magnesium is added into ZINCALUME’s® aluminium-zinc alloy coating. Activate® strengthens the material’s protective coating, making it more durable and less susceptible to scratches and marks. ZINCALUME® has a 36 year warranty on roof applications, including marine environment installations. ZINCALUME® is commonly powder coated, allowing facades to achieve vibrant colours. ZINCALUME® can also be used in its raw state without any additional paints or treatments.